The aim of the White Paper is to set out a clear framework for protecting and enhancing the things that nature gives us for free. Over 15,000 people and organisations sent responses to a call for ideas on the Natural Environment White Paper, a record number for a Defra consultation, proving that people want to see a real positive change in the future of our natural environment. The natural environment underpins our economic prosperity, health and wellbeing. The aim of the White Paper is to set out a clear framework for protecting and enhancing the things that nature gives us for free, which are too often taken for granted. “I’m delighted with the overwhelming response that we have had to our call for ideas on the Natural Environment White Paper. We’ve received over 15,000 replies from individuals, NGOs and businesses, which goes to show that people really care about the natural environment and want a say in how it is managed. “This overwhelming response provides a clear message to the Government that people care passionately about the natural environment and want to see bold and ambitious action to support its recovery. Work continues to develop the White Paper for publication in the spring. As part of this, more detail has now been published on our thinking so far on biodiversity offsetting, where society is compensated for its environmental loss, by a developer paying to create or restore an area of habitat elsewhere. We would like to encourage people to give us their views on this potential approach. Development is needed so that communities can grow and expand, but it can damage wildlife and habitats. Greater use of offsetting is one tool we could use to help us achieve a healthy natural environment. Biodiversity offsetting would not stop development or affect the rules about where development could or couldn’t take place, nor will it weaken protection for species or make it easier to build on our most valuable conservation sites, but greater use of offsetting could help compensate society for biodiversity loss. The Natural Environment White Paper will be a bold and ambitious statement outlining the government’s vision for the natural environment, backed up with practical action. It represents an opportunity to change the way we think about and manage the natural environment, seeing it as a system and valuing the services it gives us. It will be published in Spring 2011 and will cover England only. A detailed discussion document was published on 26 July 2010 to encourage the debate about how best we protect and enhance our natural environment, and the valuable services we derive from it. At the same time a short survey was launched, designed to draw in views from the general public. 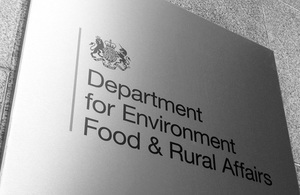 These responses are currently being analysed and a summary of the key messages will be published on the Defra website prior to the publication of the White Paper.